Fibre is vital for the healthy function of your horse or pony’s digestive system and satisfies their need to chew – it’s what they’re meant to eat! Fibre feeds can be chopped or pelleted; the latter being particularly beneficial for veteran horses, aiding hydration in the performance horse and during winter months. The apparent increase in the number of horses of all ages with diastemas (abnormal gaps between teeth) means that many horse owners are seeking alternatives to chopped forages. As forage should make up the majority of a horse’s diet, it is no surprise that when they simply can’t eat it as easily any more, weight loss and colic can occur. A study funded by Dengie showed that when high fibre materials were provided in a form the horse could manage, they were able to consume just as much as a horse with normal dentition. By providing fibre in a form that horses and ponies can manage to chew it ensures that they are still receiving all the vital nutrients to keep them healthy. The fibre particles in soaked fibre feeds tend to be ground much smaller which makes them easier to chew and aids digestibility. If a horse can manage some short chop fibre then it would be beneficial to feed these products alongside the soaked fibre feeds to help increase chew time. Research has shown that horses tend to drink 6-14% less in colder weather. Combined with a change from pasture to much drier hay, winter can result in a considerable decrease in water intake and increased risk of dehydration and problems lick colic. 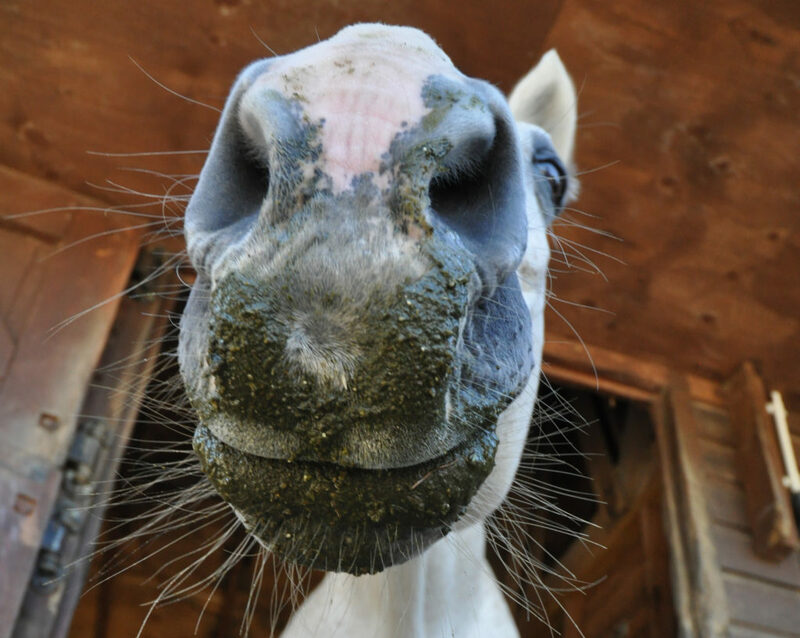 Providing a soaked fibre feed for your horse or pony will provide an additional source of moisture to aid hydration. Combining travelling and competing can increase the risk of dehydration in horses which is likely to compromise performance and recovery. On top of that some horses are not always keen to drink when away from home. 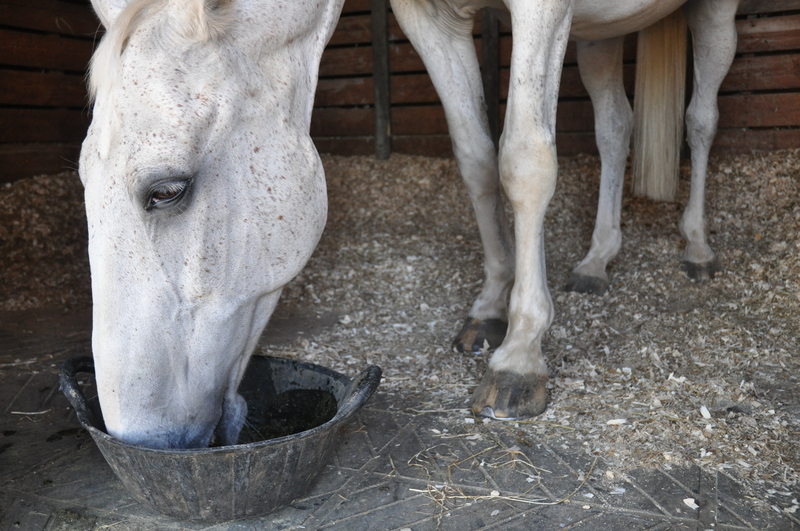 By feeding a soaked fibre feed you can get moisture in without requiring the horse to actually drink from a bucket. Other top tips include taking water and your usual water buckets from home. What fibre feeds in the Dengie range can be soaked? Alongside our popular chopped fibre feeds, we offer a range of pelleted fibres that can be fed soaked. 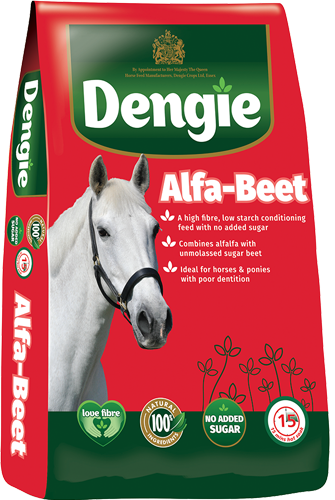 Dengie Alfa-Beet – a high-fibre, low sugar and starch, conditioning feed. The combination of alfalfa and unmolassed sugar beet pulp provides ‘slow release’ energy in the form of highly digestible fibre. Alfa-Beet is easy to use as it soaks to a mash much more quickly than conventional sugar beet pulps. For soaking we recommend three parts water to one part Alfa-Beet. 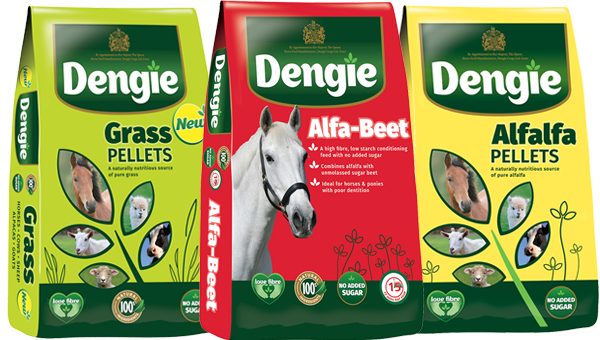 Dengie Grass Pellets – 100% naturally grown meadow grass with no added sugar. Naturally sweet they are ideal at tempting fussy feeders! Dengie Alfalfa Pellets – simply 100% alfalfa – rich in calcium and other naturally occurring vitamins and minerals. As alfalfa is naturally low in sugar (5%) Alfalfa Pellets are ideal for those that require a low sugar diet such as laminitis prone individuals including those with Equine Metabolic Syndrome (EMS) and Pituitary Pars Intermedia Dysfunction (PPID). For further advice and guidance on what to feed your horse or pony please contact the Dengie Feedline on 0845 345 5115* or send us an email. A high-fibre, low sugar and starch, conditioning feed. Ideal for aiding hydration or for older horses and ponies who struggle to chew longer length fibre. 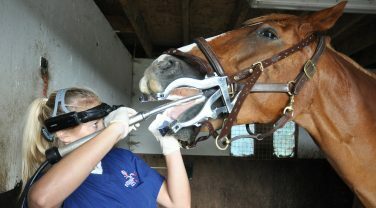 Regular dental care by a qualified equine dental technician or vet is essential to a horse or pony’s overall health, comfort and performance.